Peak season! Cheap flights from Florida to Barbados for only $80 one way or $196 return! 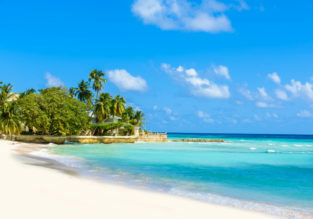 7-night stay at top-rated beachfront apartment on Barbados + direct flights from New York for $432! 7-night stay at beachfront cottage on Barbados + flights from New York for $453! Cheap flights from California to Bogota, Colombia for only $288! 8-night stay at beachfront hotel on Barbados + flights from New York for $444!